DigitalPersona, Inc. has begun offering fingerprint recognition software and hardware for a new generation of Java-based point-of-sale (POS) terminals. The company’s new U.are.U® UPOS for JavaPOS products enable POS terminal developers to add accountability and security capabilities. Employee time-and-attendance and anti-theft features can be built into cash registers and check-out terminals. The DigitalPersona U.are.U UPOS for JavaPOS products are compatible with the UPOS 1.11 standard. The JavaPOS product is priced at $99. The JavaPOS software that accompanies the fingerprint reader includes one JavaPOS wrapper, fingerprint biometric software, documentation and a demo file. REDWOOD CITY, CA — DigitalPersona, Inc., the leading provider of fingerprint authentication solutions for enterprise networks and commercial applications, is now offering fingerprint recognition software and hardware for a new generation of Java-based point-of-sale (POS) terminals. The company’s new U.are.U® UPOS for JavaPOS products enable POS terminal developers to quickly and easily add accountability and security capabilities. This improves the profitability of their retailer customers by enabling employee time-and-attendance and anti-theft features to be built into cash registers and check-out terminals. DigitalPersona’s software and hardware products, which will be on display at the National Retail Federation tradeshow, booth #2750, in New York City, January 14-15, have achieved the largest installed base of fingerprint biometric readers in the retail, hospitality and restaurant industries because of their accuracy, reliability and durability. Retail businesses, POS equipment suppliers and system integrators are combining time-and-attendance, anti-theft and fraud prevention applications with fingerprint biometrics to boost profitability by eliminating several employee-facing problems. These include the elimination of time cards to prevent “buddy punching” and “lollygagging” when punching into work and then taking time before arriving at the workstation. Additionally, biometric technology reduces cash register shrink from improper voids and customer returns. Audit trails that track – who has access and when – hold employees accountable for cash in the till as well as help retailers meet financial and secure identity compliance requirements. – Give a broad choice of software and hardware implementations JavaPOS enables UPOS-compliant devices such as DigitalPersona’s to be used with POS terminal applications that are developed in Java. The DigitalPersona U.are.U UPOS for JavaPOS products are available January 31, 2008. The JavaPOS product is priced at $99. The JavaPOS software that accompanies the fingerprint reader includes one JavaPOS wrapper, fingerprint biometric software, documentation and a demo file. DigitalPersona is the leading provider of biometric authentication solutions for enterprise networks, developers and consumer OEMs. Founded in 1996, the company designs, manufactures and sells flexible solutions that improve accountability, security and regulatory compliance while resolving password management problems. DigitalPersona’s award-winning technology is used worldwide by over 90 million people in the most diverse and challenging environments for fingerprint authentication. The company’s interoperable biometric software solutions uniquely support the industry’s widest array of notebooks with fingerprint readers in addition to its own line of optical placement readers. 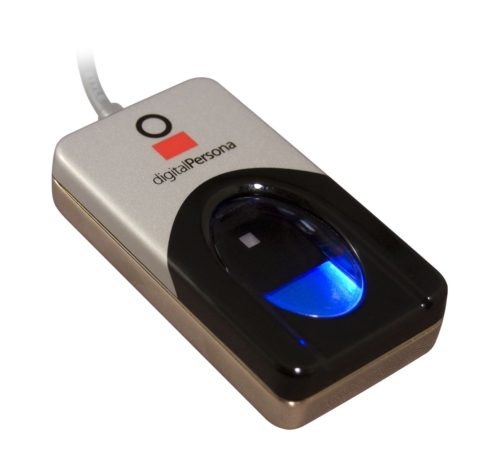 DigitalPersona’s fingerprint readers utilize superior optical fingerprint scanning technology to more accurately authenticate users regardless of finger placement. DigitalPersona has strategic relationships with market-leading manufacturers and resellers including Dell Inc., Microsoft and GTSI Corp. DigitalPersona® Pro, the company’s flagship turnkey security solution for enterprise authentication, is used by leading organizations such as the U.S. Department of Defense, Cargill, Telefonos de Mexico S.A. de C.V, (TelMex), United Bankers’ Bank and Sutter Health/CPMC. For more information contact DigitalPersona, Inc. at +1 650.474.4000, or visit http://www.digitalpersona.com.